Christmas lights can be installed in a myriad of ways, and the experts at Green Leaf want to walk you through the entire process to make your home more beautiful than ever this holiday season with expert Tulsa Christmas Lights installation. Christmas lights can be installed on trees and shrubs to add a spectacular shimmering effect to your lawn. It can complement angles and straight ways of a roof lining, and garlands and reads and bows can be used around doorways, columns, and arches for a festive daytime look as well. People love getting in the holiday spirit and we love helping people. Most installations can be done without nails or Staples these days and we always try and use noninvasive fasteners that protect your home and display lights with stress perfection. We offer some of the finest lighting and decorating products in the world. Your entire family can enjoy the spectacular beauty of your professionally installed lights displays as soon as you give us a call at 918-640-6405. You can also enjoy the peace of mind inconvenience of sitting in your recliner while we do the work. 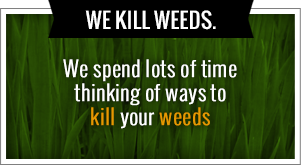 Visit our website today for more information at www.greenleafweedcontrol.com. Green Leaf has been in business for a number of years and we have never stopped providing amazing Tulsa Christmas Lights as well as providing professional lawn care service throughout the Tulsa area. We involve ourselves in services like weed control and fertilization, weekly lawn maintenance, flower bed maintenance, hedge trimming in shaping, leaf removal, sod installation, small shrub removal and planting, small tree removal and planting, spring cleanup since scalping, fertilizing rates, as well as seasonal work such as seasonal flowers and mulch, gutter cleaning, leaf cleanup from lawns and landscape beds, trimming back perennial plants, and of course holiday lighting. We feel one of the most important things a successful company can do is give back to the community. That’s why we donate five dollars to the school district of your choice every time we get hired to do a new job in the Tulsa area. We are a responsible company that believes that the children of today are the future of tomorrow. If you want to display your Christmas spirit, but you’re afraid of climbing up on those letters out in the cold weather with the hassle of on stringing lights including your self in danger, leave Christmas light hanging up to the experts at Green Leaf. From small homes to large homes, we offer roof line, tree lighting, and landscape lighting that will make you the envy of the neighborhood with professional installation without the hassle. Our team of decorating experts will turn your home into a festive winter wonderland. We will be happy to provide you with decorating ideas or turn your existing ideas into a reality. Our Christmas light table ensure that you and your lights in your home statement the entire holiday season. Our Christmas light service offers everything you need to decorate your home from the outside to be inside with amazing Tulsa Christmas Lights. We have you covered and we can’t wait to get into the holiday spirit with all of our faithful customers in the city of Tulsa. 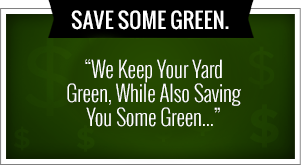 Please give us a call today at 918-640-6405 if you’d like more information about a free estimate and all the other services we offer here at Green Leaf Lawn. You can also visit our website for more information about our company and the two founders of the company, Jamie Nix and Josh Mathias. I website is located at www.greenleafweedcontrol.com. If you think we simply do Tulsa Christmas Lights, you’d be mistaken. We actually got our service in the lawn industry and we still provide amazing care to the people of Tulsa to this day. Jamie Nix and Josh Mathias have over 10 years of providing professional lawn care experience throughout the Tulsa area. Our services include mowing, landscaping, holiday lighting, weed killing, and much more. There’s no other lawn care service provider that you can trust to bring you the rich, beautiful lawn you’ve always wanted with affordable prices right here in your hometown. We offer free estimates and references can be provided upon request. Seasonal services from Green Leaf Lawn also provide snow removal services as of a few years ago. We are experts in our industry and we look forward to servicing the people of this great city for many years to come. We are a company that is dedicated to not only providing exceptional service, but we want to be good at what we do. We strive every day to put our best foot forward and give the people of this city the lawn service they’re looking for from a trusted provider. You can use us for all of your lawn care needs and we promise to always stay the very top of our game and give you exactly what you’re looking for when it comes to expert care. This company has a 24 hour customer response line. That means that you are never left wondering about a question or concern you might have about our services or the work we’ve done. We will give you the answers you need in a timely manner every single time you give us a call at 918-640-6405. This is probably why top companies in Tulsa including Mathis Brothers and Outback Steakhouse trust us when they need a service provider of choice when it comes to lawn care and holiday lighting.